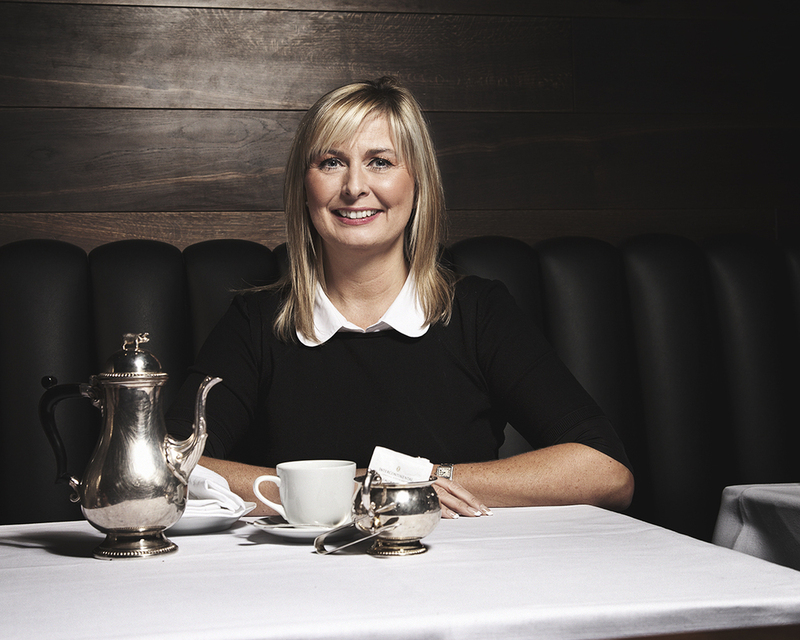 Back at the end of November I was comissioned by RBS Business Agenda to photograph Nicola Taylor, the managing director of Chardon Trading, which was the largest hotel management company in the UK until its management wing was sold in September 2013. I was given 20 minutes with to photograph Nicola in the rather splendid Intercontinental Westminster Hotel, my only brief to make her look friendly and approachable. Fortunately I had time to visit the hotel the day before, which meant I could meet the manager and staff and find out any location possibilities. There was little to no natural light in the areas of the hotel which were open to me, which was a shame for what I had in mind, also making things slightly harder with the time constraints as I would have to bring in my flash kit. In the end I went for a simple set-up, using an off centre beauty dish with a large reflector on the opposite side. I've assisted on many shoots where there has been limited time with the sitter before, sometimes as small as just a minute with somebody, so I knew that making the sitter feel comfortable and relaxed in front of the camera was vital. Fortunately Nicola was very easy going and happy so we got straight into the shot, I had about 6-7 minutes in each of my two locations I had picked out. Below is the shot that the magazine went with in the end, taken in the Blue Boar Smokehouse Restaurant. During my month long winter break in Thailand I had a managed to fit in a small shoot with the beautiful Austrailian/Malaysian model Serena. We only had a few hours together in Bangkok, so I lined up a few locations all close together. We started in and around the ultra-cool Tenface Hotel where Zulma and I were staying for the first week of our trip before heading out into the nearby streets and into Lumphini Park. I mainly used a 52" Lastolite zebra gold/silver reflector, giving a great warm light. I also used a subtle speedlight with shoot-through umbrella on a few of the shots. Serena was great to work with and really understood what I wanted to get from the shoot. See a few of the results below! Serena C for being awesome and looking great! Golf at AreaMGMT for booking.